Omegle is a popular website that allows users to chat with strangers without revealing their real name and other personal information. When you join a chat, you are paired with another person chosen randomly and you can leave a chat and start a new one with someone else, whenever you want to. 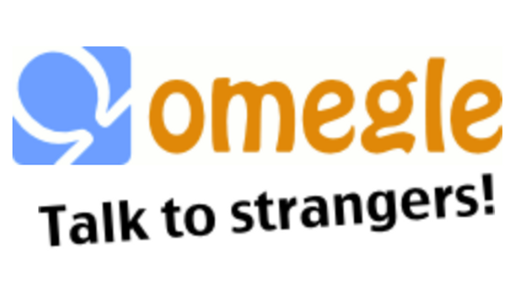 Omegle supports online video chat, which allows yo to actually see the person you are talking to. It is a popular option to meet new people from around the world and you can add your interests before starting a chat to be matched with someone who is into the same things. While you can meet cool people in Omegle, there are also a lot of spammers and bots. If you like Omegle but want to try a different app, take a look at the alternatives that you will find here. Check out our list for sites like Omegle, these sites offer free video chat rooms but they also offer their own features. Chatroulette was launched in 2009, just a few months after Omegle and it was created by Andrey Ternovskiy, a high school student from Russia. This free online chat website quickly got the attention from users around the world thanks to its ease of use and fun chatting experience. Chatroulette became an internet phenomenon thanks to the fact that it pairs users at random and allows them to chat while watching each other’s webcam. Once you are paired with someone, you will be able to see their webcam. Chatroulette used to be filled with mature content and people exposing themselves or asking others to do. However, the admins implemented safety measures designed to clean up the website. They have a large number of moderators that make sure that people don’t break the rules and to avoid spammers. Nowadays Chatroulette offers a more enjoyable and safer chatting experience. Camfrog has over 19 millions members, which allows it to offer the largest online video chat community online. You can find thousands of users active whenever you visit the website or use the app. There is even an overview of the people that are currently chatting on Camfrog. While Camfrog has been around for many years, it offers a modern, easy to use interface and there is an extensive selection of chat rooms available. 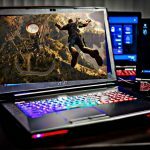 It supports all major platforms: Windows, Mac, Android and iOS, so you can connect with new people or catch up with your friends, even when you are on the go. TinyChat aims to offer a friendly space to meet new people or to keep in touch with your friends. You can create you own room or join one of the rooms available where users from around the world discuss a variety of topics. There are chat rooms focused on different subjects and you can find one that suits your interests. Alternatively, you can create a room and invite your friends. It is possible to promote rooms to get more users to join. Just make sure that you follow the rules of the room you are joining to avoid being banned. FaceFlow is another free solution that lets you chat with new people or with your friends using a simple interface. The website offer public chat rooms where you can meet people from around the globe. There is no download required to start using FaceFlow and you can use the website to hold video call conferences with up to three friends at the same time. If you want to chat with a friend who has not registered for FaceFlow yet, you simply need to send them a Guest Chat link. StrangerMeetup is another great option for users who want to meet new friends online. The website offers public and private chat rooms that allow you to talk to strangers from around the world. In the private chat rooms, you can chat with people who are randomly selected. The public chat rooms are a good way to get started as they allow you to discuss different topics with a group of people. StrangerMeetup is easy to use and you don’t need to register to join a chat. The truth is that many users join websites like Omegle in the hope of being able to chat with women. Camzap promises to offer users more chances to talk to women and select from a greater selection of settings. 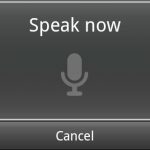 There is an option that allows you to chat with people in your area or adjust the volume of the webcam stream you are viewing, without affecting the volume of your own computer, which is handy if you are listening to music. This is another easy to use and fun option to chat with new people from around the world. There are different rooms available and you can see how many people are currently chatting there. If preferred, you can join the text only chat room but the website also supports video and audio chat. You can select a Chatroulette style experience or join a room to start chatting with strangers. BazooCam has a very simple interface but it shows you a list of the users that are currently chatting. You can even select specific users to start chatting and you don’t even need to register. BazooCam allows you to connect with people who are using their webcam, but you need to have flash installed in order to start a chat. One interesting feature is that it has filters that allow you to find people in your area, based on their IP.